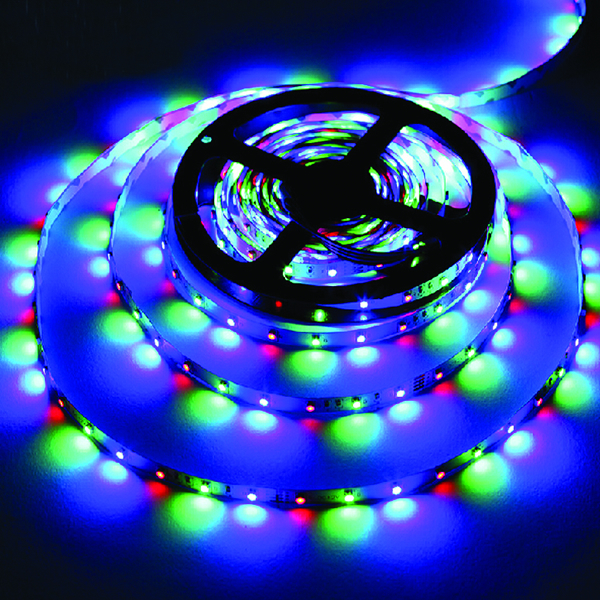 Color changing Red, Blue, Green lights attract attention to your store! LED Lights generate very little heat and are safe to leave on continuously. 300 lights per 16 feet. Red, Green, Blue ribbon lights include controller so the lights can flash, fade, chase or blink. Indoor lights include a strong adhesive backing which installs easily. Cut lines clearly show where you can cut. Plugs into AC outlets with included power plug. Power plug is 40 in. long.